*The Elections season of 2012 is nearly over. We could not fathom the degree of hypocrisy this campaign season produced, as nearly anything and everything has been said by the Romney/Ryan team to win the election. You have to be careful about someone that will say anything to get something they want. Both Romney and Ryan have reversed position on several oft stated, well documented statements that would do serious damaged to the American economy and national morale. We would have a pure, unadulterated capitalist running the country and a draconian young ideologue one heartbeat away from running the country. To date, you can’t trust what either one of them says, but you can predict what either of them will do. They have shown us their character. Character is not what you say you are. It’s what others say you are. Character is not what you say you do. Character is what you do—whether you say it or not. There are no more lambasted members of the Republican Party than Mitt Romney and Paul Ryan. Neither one is really respected in their party. They represent totally different factions, neither of which are in sync with the majority of Americans. The GOP is just playing the game at this point. They know who Romney and Ryan are, and they benefit from their message so they tolerate them. We know who Romney and Ryan are too. The real question is, will America admit to knowing who they are on election night. Or do they even care. Do they really want get rid of Obama so bad that they will ruin the recovery for ideas that they proven ruinous to the country. Is America’s character in sync with that of Romney/Ryan? Or does America believe its on the right track with President Obama? Election night will be a true character test for the whole nation. President Barack Obama is a good man, who has done a decent job—given the challenges he faced coming into office. Nobody said, or even expected, the nation had to be turned around in four years—four years ago. Nobody knew how bad it really was, nor did they know how long it would take to fix. The American people just knew it had to be fixed and they chose a man they thought had the character to make the most earnest effort to fix it. Barack Obama has kept nearly every promise he made the American people. The promises that weren’t kept were because Congress refused to even consider them. The expectation clearly that everything couldn’t be done in four years. More importantly, President Obama’s administration has represented progress in a way that really can’t be denied. The recovery is what it is because the circumstances were like they were. You can’t rush what takes time. It’s like trying to make someone give birth in four months instead of nine. The gestation period is what it is. The nation’s economic recovery was predicated on the nation implementing some very sound and pragmatic principles. Yes, the nation had to tighten its belt, and Obama did that—slowing the rate of government spending beyond anything any of the recent American Presidents have done. But recovery was also predicated on the nation creating new sources of revenues to pay for “the sins of the past.” The anti-taxation movement has brought this country to near ruin. The generation of Americans must pay their way as every other generation has. It a nation that allows earning beyond measure, taxation for unlimited wealth accumulation is the price of greed. Don’t want to pay unreasonable tax bills, don’t make unreasonable sums of money. The problem here, is that the one percent don’t even want to pay reasonable tax rates. They want to pay no taxes, but expect everybody else to pay their way through society. In an egalitarian society, a society of equals, we all pay our way. That’s all the President ever asked for, and they wouldn’t give it to him. Instead, they gave him for years of obstruction and this Congress proven to be the lowest rated Congress in the history of rating Congresses (with an approval rating that dropped as low as 7% and never raised above 20% in the last two years). No of us can accomplish much when you have those that are supposed to be your partners in governing pulling against you. It didn’t take much see what was going on, and after all the games that have been played, newspapers all around the country—even newspapers that weren’t fans of this administration showed some journalistic integrity in endorsing Obama’s re-election and provided sound rationalization for doing so. Some of these papers have cloudy character on fair journalism, but they have passed the character test on advocating what’s best for the country. Isn’t that what we all are supposed to be doing? Or is it what’s best for an oligarchic segment of the country? The choice is really clear, but we have elected anti-intellectual oligarchs before—so it can’t be taken for granted that it won’t do it again. The difference is that the office was open in 2000. Clinton couldn’t run for re-election (and would have won if he could’ve). This time, the nation has a good man, a smart man, a pragmatic man, running for re-election. Will it do the right thing? It is time to see what America’s national character is really about. We will test our own community character in the process. It’s not always about what the “other man” does. We have to be true to ourselves also to make a difference in our local communities. But, in being true to self, we show our character if we’re being true to what’s in the best interest of all. That’s where character really counts. Vote on Election Day, November 6th. 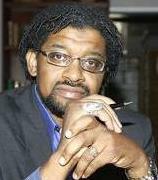 Anthony Asadullah Samad, Ph.D., is a national columnist, managing director of the Urban Issues Forum (www.urbanissuesforum.com) and author of the upcoming book, REAL EYEZ: Race, Reality and Politics in 21st Century Popular Culture. He can be reached at www.AnthonySamad.com or on Twitter at @dranthonysamad.